Bass Pro Shops has gone to the dogs with the return of Dog Days. The popular family event features free family portraits with your pet, health and wellness checks, demos and activities for pets and their owners, great sales for man's best friend, and giveaways and drawings. All breeds of furry friends, from lap dogs to hunting dogs, are invited to visit participating Bass Pro Shops locations across the U.S. during Dog Days, held March 25 and April 1. "We love dogs and they are always welcome at Bass Pro Shops," said Katie Mitchell, Bass Pro Shops communications manager. "Besides being a great addition to any family, they make for super companions in the outdoors. Dog Days is a great way to get the latest information, tips and products to help maximize your pet's life and activities." Activities include health and wellness checks by local veterinarians, micro chipping*, grooming demos, giveaways, and more (activities will vary per store). Customers will also receive a free treat for their dogs with any purchase. Free Seminar: "Dogs – Our Best Friend"
Free Seminar: "Dog Care – Everything from health and wellness to grooming"
Due to city ordinances, Dog Days will be held outside Bass Pro Shops in Columbia, Missouri; Dania Beach, Florida; San Jose, California; Manteca, California; Mesa, Arizona; and Spanish Fort, Alabama stores. Pets visiting participating Bass Pro Shops stores need to be up-to-date on all vaccines, pet and child-friendly and on a close leash at all times. Pet owners are responsible for their dog's behavior. *Cost and availability for microchipping, health and wellness checks, and grooming will vary per location. 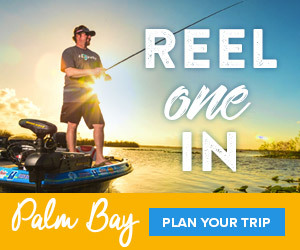 See store or visit basspro.com/dogdays for a complete schedule of activities for local stores.